Populous, who is the leading architect for professional ballparks, had a guideline that they needed at least 12.5 acres for a new ballpark, but the site for the future Target field was less than eight acres with a railroad line and a major highway next to it. Thanks to its experience and expertise, Populous was able to overcome this challenge and design a ballpark that has quickly gained a reputation as one of the best professional ballparks in the nation. 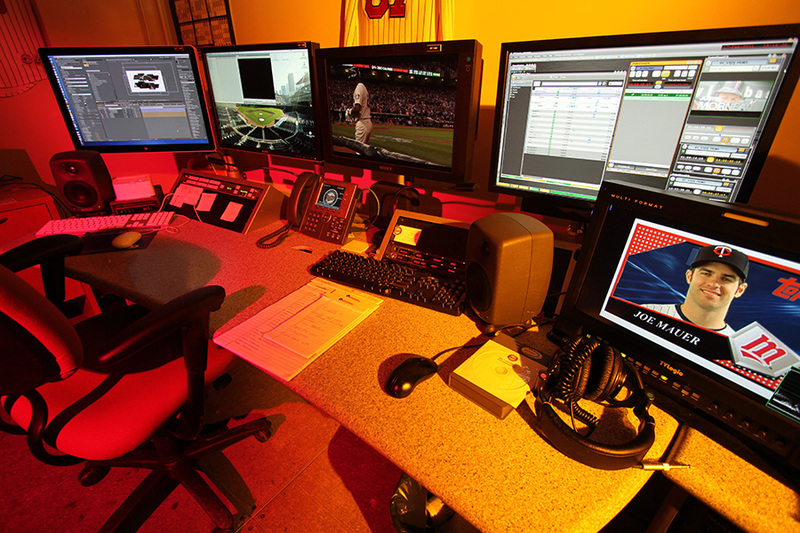 The limited space for the ballpark affected the design and layout for many of the facilities including the High-Definition Video Control Room. 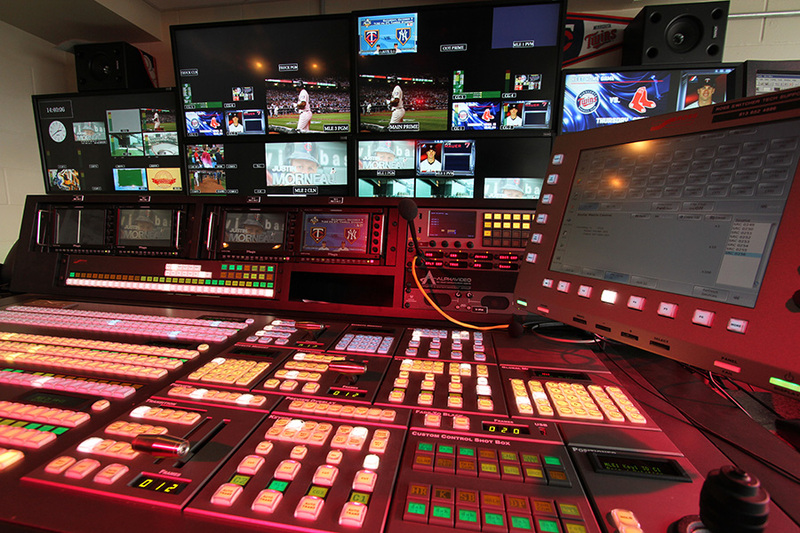 The HD Video Control Room functions like a broadcast studio during the ball games sending out content to the 55'x101' Daktronic scoreboard and to monitors installed throughout the facilities. 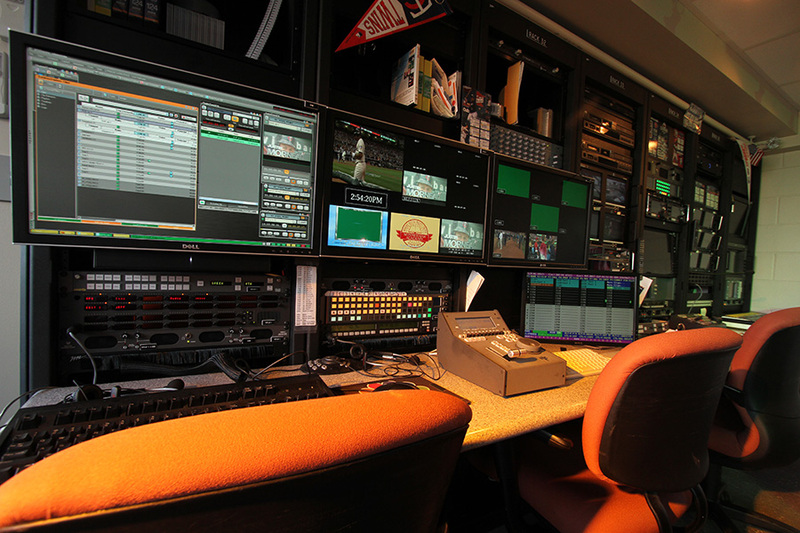 The square footage for the Target Field HD Video Control Room is about average for a professional ballpark, but the cramped space meant the control room is L-shaped with support pillars in some inconvenient locations and a 7'3" ceiling that's just barely high enough for the equipment racks. The systems for the HD Video Control Room were designed by WJHW and sent out for bid by M.A. Mortenson. Alpha Video & Audio was selected to integrate and install the AV systems in the control room based not just on price, but also on past successful experience with similar projects. 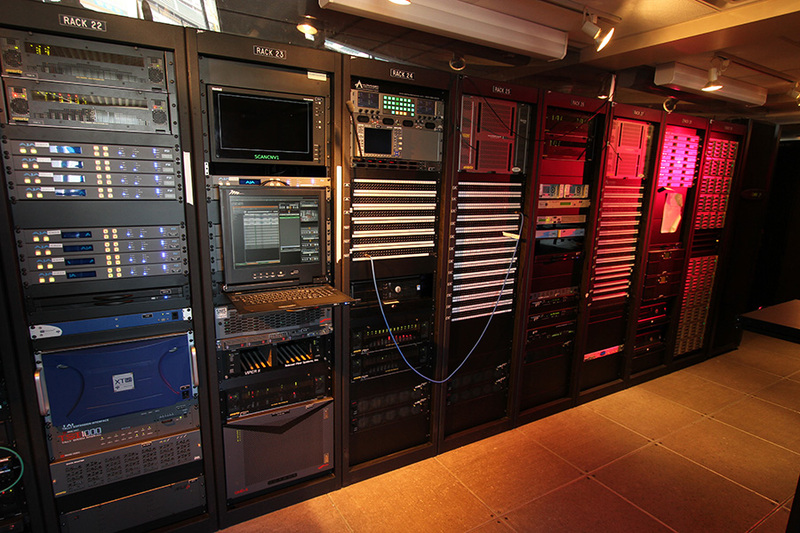 The HD Video Control Room includes a production area, two AV editing suites and an equipment rack room. Planning for the installation of the AV technology in the unusually shaped space required a two-day session that included representatives from Populous, M.A. Mortenson, WJHW and Alpha Video & Audio. The final installation required a custom-designed 10"-deep equipment rack from Middle Atlantic so technology could be installed around a four-foot square concrete support column. It has been an outstanding partnership with Alpha Video on this historic installation," commented Andy Price, Senior Director, Broadcast/Game Presentation, Minnesota Twins. "At every point of the project, the Twins have felt like Alpha has taken great ownership in this highly visible piece of Target Field. Their hometown help has made this endeavor a great success. 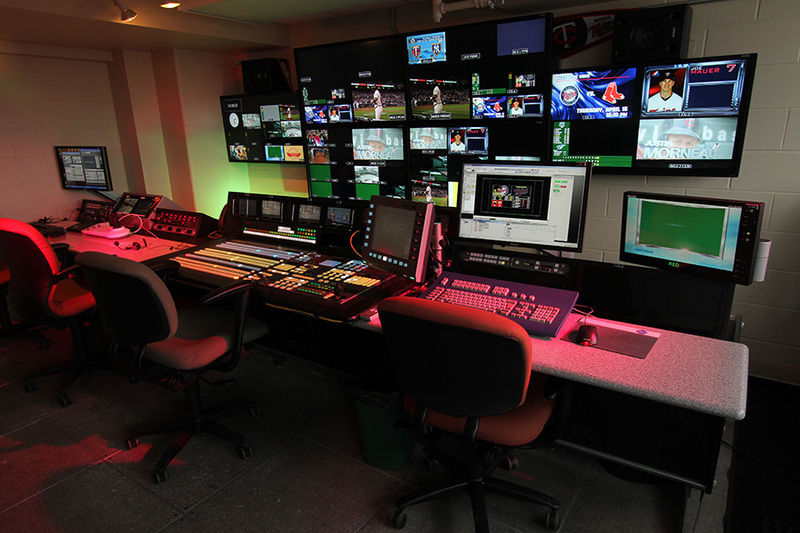 The space, intended to support a staff of more than 25 people on game days, has plenty of the best broadcast and video technology packed into it, including a Ross Video Vision 3 production switcher, Evertz HD and AES routing switchers with integrated multi-image viewers, a 6-channel EVS slow-motion system, a Ross Video SMS video server, Sony HDCAM camcorders, Panasonic DVCPRO HD VTRs, Apple Final Cut Pro-based editing systems, Chyron HyperX3 character generators, and a Riedel intercom and communication system. Input sources include multiple Sony HDC-1400 and PDW-700 cameras and Nucomm wireless HD camera systems.